I don’t know about the rest of you, but ive never had a need to instant message a librarian. 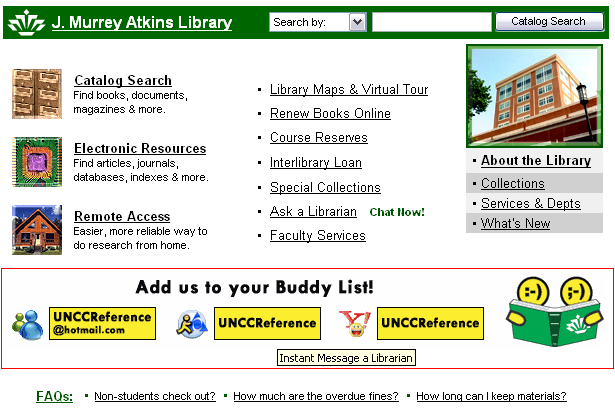 Also… Wouldn’t it be more useful to just use a chat feature in the page itself, especially since someone like myself might want to get information from the computer labs without having to walk all the way over there to the library? August 29, 2005 CurtisComments are off for this post.